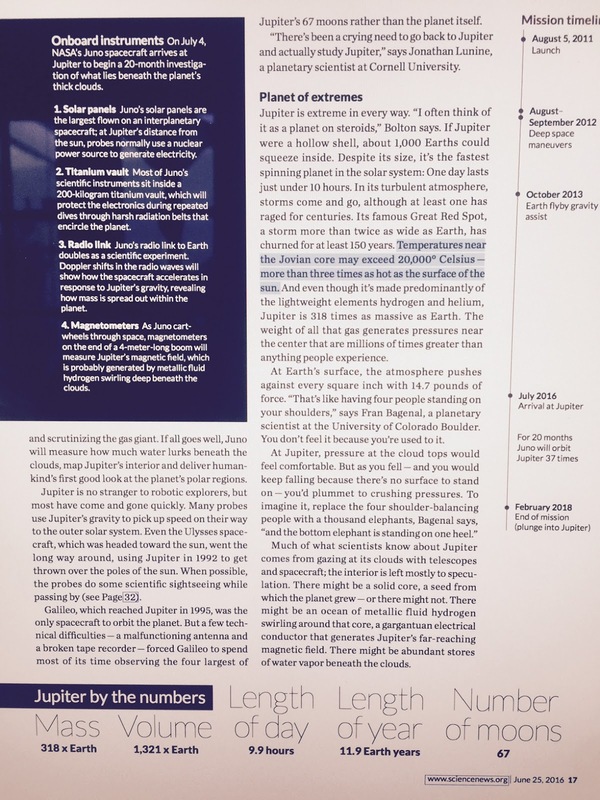 A paper published in Science June 3, 2016, Peering through Jupiter's clouds with Radio Spectral Imaging, demonstrates the gravito-thermal greenhouse effect on Jupiter and that atmospheric temperatures are a function of pressure, independent of greenhouse gas concentrations. Jupiter is a gaseous planet with an atmosphere comprised almost entirely of the non-greenhouse gases hydrogen and helium, yet is capable of generating 67% more radiation than it receives from the Sun, and has estimated temperatures at the Jovian core of more than 20,000°C, more than three times as hot as the surface of the Sun. Jupiter, however, only receives 3.6% as much solar radiation per meter squared as the Earth. The only possible explanation for this "temperature enhancement" or "greenhouse effect" is atmospheric mass/pressure/gravity (the gravito-thermal greenhouse effect of Maxwell/Poisson/Clausius et al), and which is entirely independent of greenhouse gas concentrations. Prior work has confirmed the gravito-thermal greenhouse effect on 6 8 planets including Earth, and why this falsifies the theory of catastrophic man-made global warming. On the basis of this new paper, we find the gravito-thermal greenhouse effect also holds for Jupiter and that the pressure vs. temperature curve satisfies the Poisson Relation of the gravito-thermal greenhouse effect. 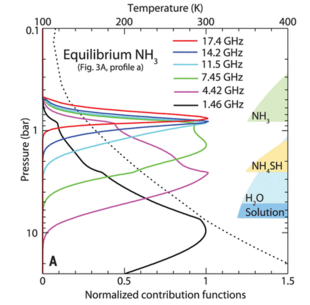 Fig 1 from the paper. 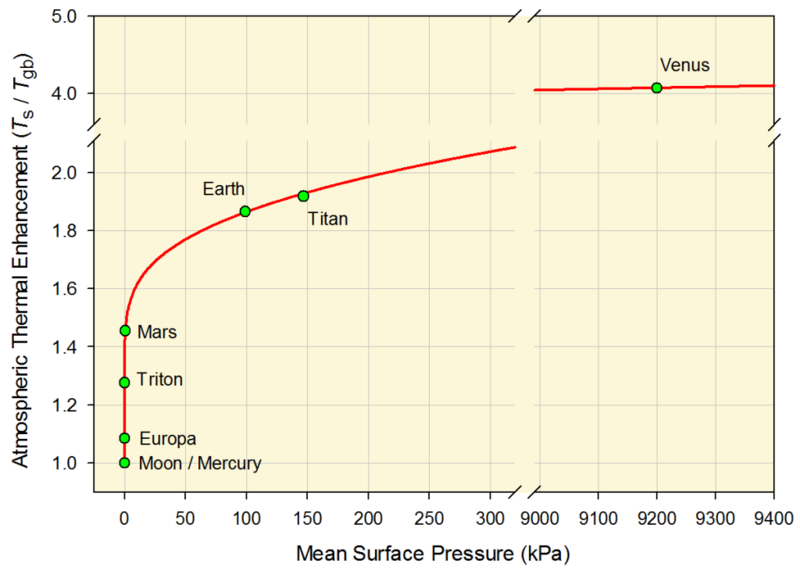 The dotted line is the atmospheric temperature vs. pressure curve on Jupiter. At 11 bars pressure, the temperature is 400°K or 127°C or 260°F. and once again demonstrates that the catastrophic anthropogenic global warming (CAGW) theory is a myth, that atmospheric temperatures are controlled by mass/gravity/pressure and are independent of greenhouse gas concentrations on any of these 9 planets with atmospheres, including Earth. Adding additional CO2 plant food to the atmosphere will undoubtedly green the Earth, but Earth's climate sensitivity to CO2 is effectively zero. a) Dry adiabatic response of the air/surface temperature ratio to pressure changes in the free atmosphere according to Poisson’s formula. The reference pressure is arbitrarily assumed to be po=100 kPa;b) The SB radiation law expressed as a response of a blackbody temperature ratio to variation in photon pressure (see text for details). Figure 6. 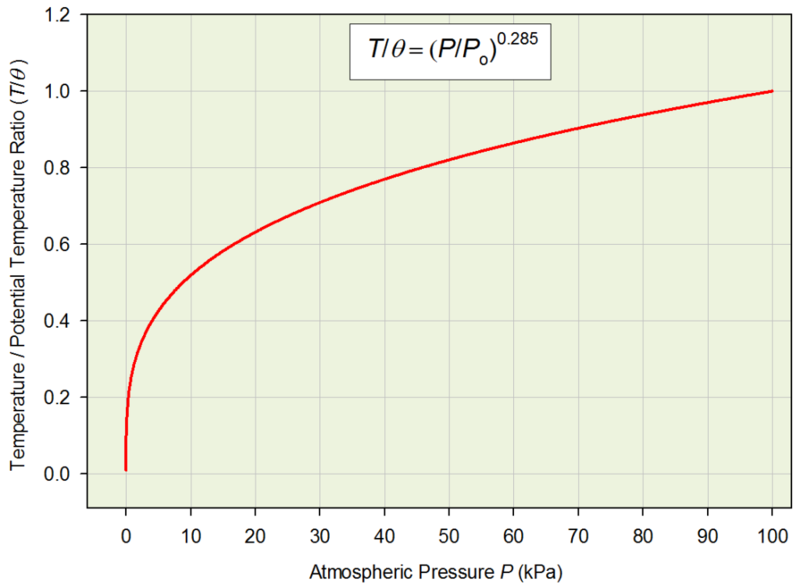 Temperature/potential temperature ratio as a function of atmospheric pressure according to the Poisson formula based on the Gas Law (Po = 100 kPa.). Note the striking similarity in shape with the curve in Fig. 5. Related: How can Uranus have storms hot enough to melt steel? A runaway greenhouse effect? 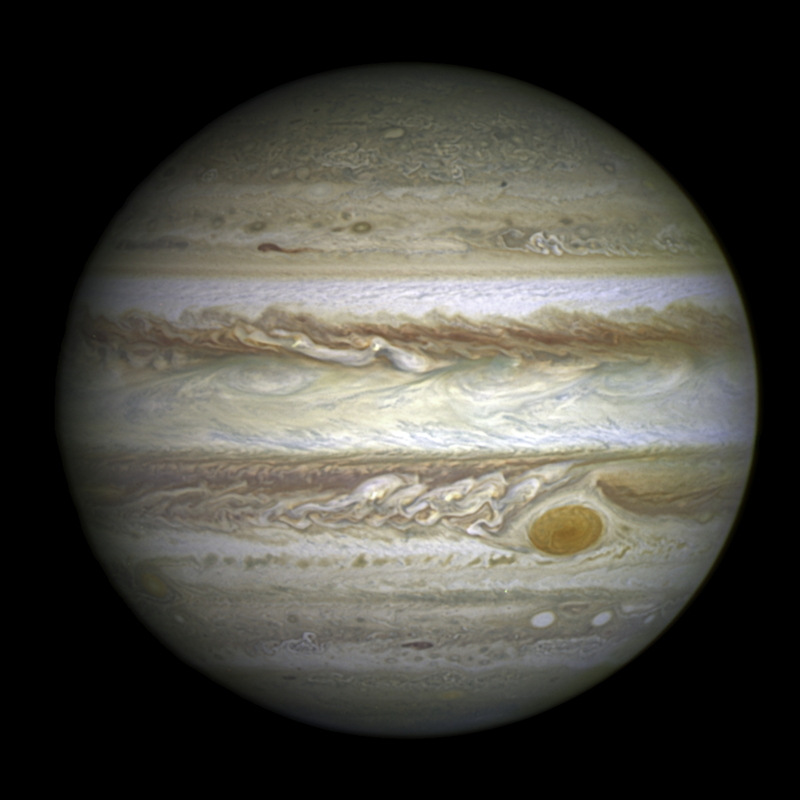 The temperature/pressure profile is accounted for by the gravito thermal effect but not the fact that Jupiter radiates more to space than is received from the sun. That phenomenon would be accounted for by friction from convective overturning within the more solid centre and/or by radioactive decay within that centre. If you agree that the T/P curve is explained by mass/gravity/pressure, and given that thermal radiation is a function of T^4 via the SB Law, I don't understand why you need anything else to explain how a planet can radiate far more radiation than it receives from the Sun. which I again contend is only explainable on the basis of the gravito-thermal GHE. I have a problem with the idea that the gravito-thermal effect actually creates new energy on its own. That is implicit if more goes out than comes in yet the temperature stays stable. I can see that the gravito-thermal effect constantly recycles a fixed amount of existing energy which has become locked into continuing convective overturning of the atmospheric gases but not that it can add energy to that received from other sources. The additional heat observed can be adequately accounted for by friction from convective overturning within convecting semi solids or convection within solids under enough pressure (such as the Earth's mantle) and/or radiative decay within the central mass. The gravito-thermal GHE doesn't generate energy, it re-distributes available energy along the lapse rate. Thats why for example on Earth the equilibrium temperature with the Sun of 255K occurs at the atmospheric center of mass at 0.5 atmospheres, and there is a "negative -35K greenhouse effect" from 0.5 atmospheres to the 0.1 atm top of the atmosphere, and a positive +33K greenhouse effect from 0.5 atmospheres to the 1 atmosphere surface. No energy is created from this effect; the available energy is re-distributed along the pressure/density curves. Then how can it be involved in the planet radiating more energy to space than it receives from the sun ? The additional energy must be coming from somewhere and you aaccept that the gravito-thermal GHE doesn't generate energy. Stephen, clearly you're right. This thesis does not explain the extra energy. 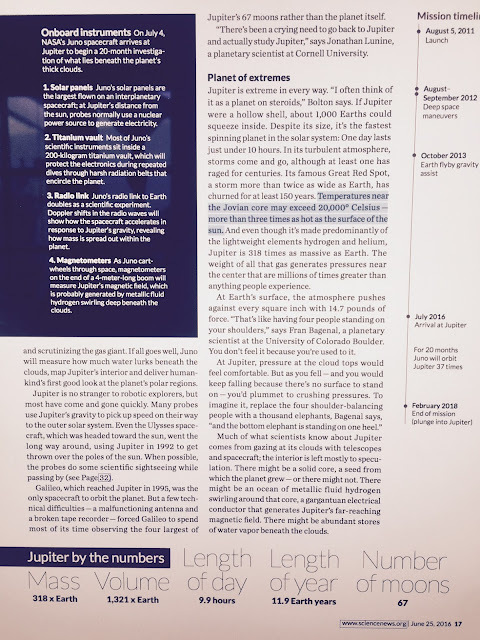 One of my high school friend's older brother won a science fair for measuring this extra energy from Jupiter. That was in the mid-60s. At the time, the assumption was that the extra energy was from the original heat of compression still working its way to the surface of that deep atmosphere, after 4.5 billion years. At the time, it made sense to me. But now, I'd want to know how long it takes for heat of compression to dissipate from such a thick atmosphere. I do accept that the gravito-thermal GHE does not create energy, and merely redistributes the available energy according to pressures. Gas planets with thick cloud layers such as Jupiter, Saturn, Uranus, Neptune have been postulated to have an internal energy source, although this has not been confirmed by observations and the cause is apparently still up to intense debate. A mission set to arrive at Jupiter on 7/4/16 will hopefully answer the mystery of Jupiter's postulated internal energy source. which is within 2K (or 2C) of NASA observations of 737K as noted above, leaving essentially no room for any sort of Arrhenius radiative greenhouse effect on Venus. Agreed as regards Venus but Venus only gives out what it receives. We will have to wait and see as regards Jupiter, Uranus and any other planet that gives out more than it receives. Very interesting paper which effectively demonstrates the reasoning behind why gravito thermal effect is actually due to pressure. Thanks for sharing. Just stumbled across this article, although two years old its a very interesting paper. Thanks for sharing!